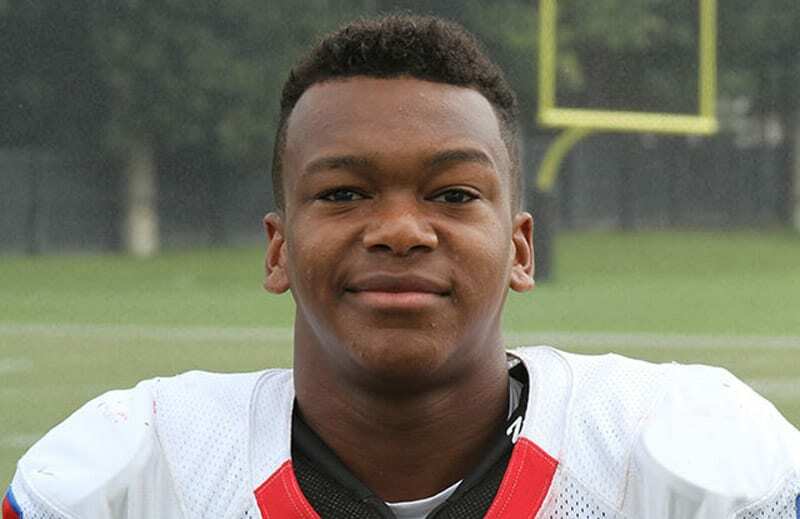 A day after receiving another 2015 commitment, Georgia has picked up their fourth commitment for the 2016 recruiting class when four-star running back B.J. Emmons pledged to the Bulldogs. Emmons (5-11, 213) plays for Freedom High School in Morganton, North Carolina. He committed to the Bulldogs over offers from Charlotte, NC State, North Carolina, and Tennessee. In the 247Sports Composite rankings, Emmons is listed as a 4-star recruit, the No. 4 running back, and the No. 116 overall recruit. Emmons is the fourth commitment for Georgia for the class of 2016. He joins 5-star quarterback Jacob Eason, 5-star offensive tackle Ben Cleveland, and four-star defensive end Chauncey Manac. If Georgia has accepted Emmons’ commitment, he likely has resolved a legal issue. According to the Morganton News Herald, Cedric “B.J.” Emmons, 17, of Morganton, was charged with misdemeanor possession of a controlled substance and possession of drug paraphernalia on Oct. 25. His court date was stated as Nov. 19.